EPBOT: Cool Valentines For Geek Girls! Cool Valentines For Geek Girls! I was stuck in a CVS for over an hour the other day, waiting on the clinic's nurse practitioner to tell me I probably have an ear infection, because my ear was just jealous of John's ear getting all the attention after his surgery. That, or my new dental filling has gone horribly wrong. 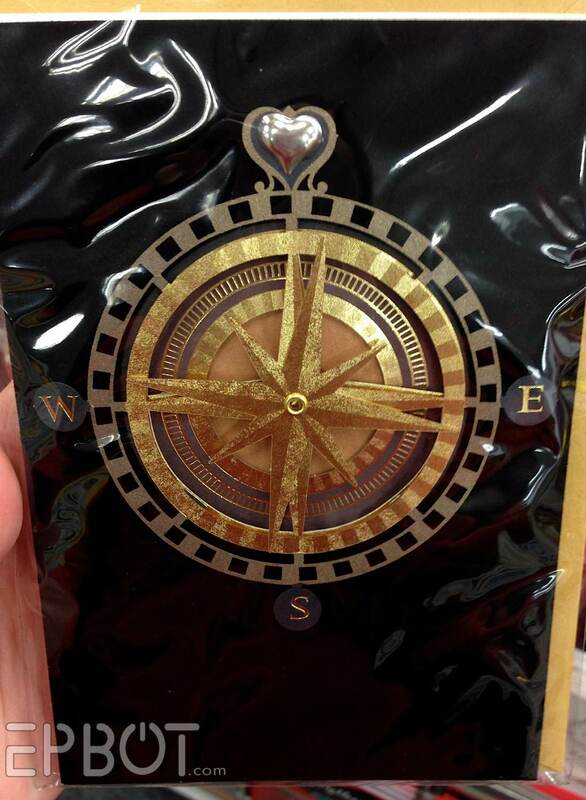 The compass is layered, so it has a nice 3D effect, and the card is flocked velvet. SUPER pretty in person. 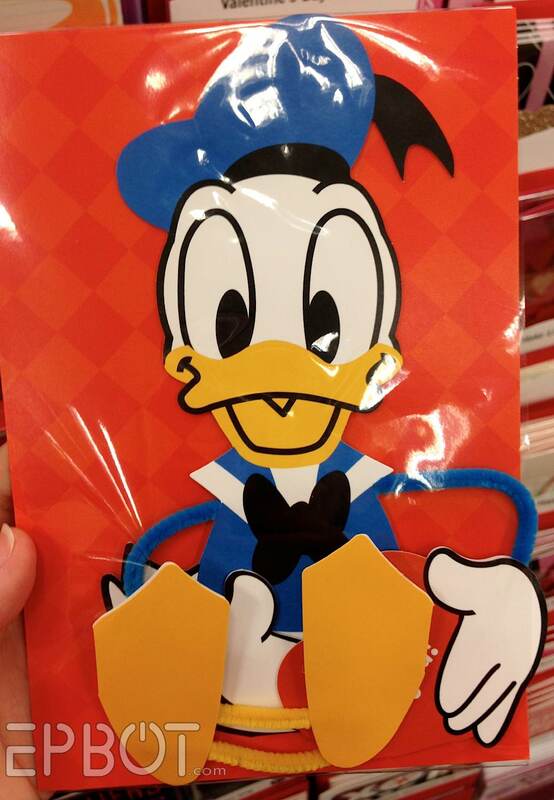 For a little gee-whiz factor, check THIS action out: the envelope has a functioning lock on it! I'm always in favor of supporting independent artists when you can, of course, but it's nice to see options like this at a big retailer, too. Especially when you're grumpy and have an earache. 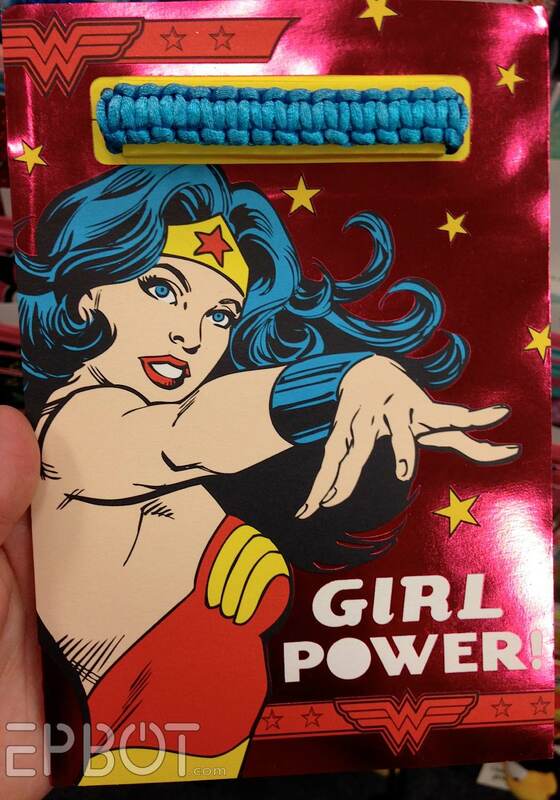 So thanks, CVS. PS: Speaking of Tinkerbell, have you SEEN the new effects in the Peter Pan queue at the Magic Kingdom? WOWIE. First time Disney has really floored me in ages. Definitely take a look! 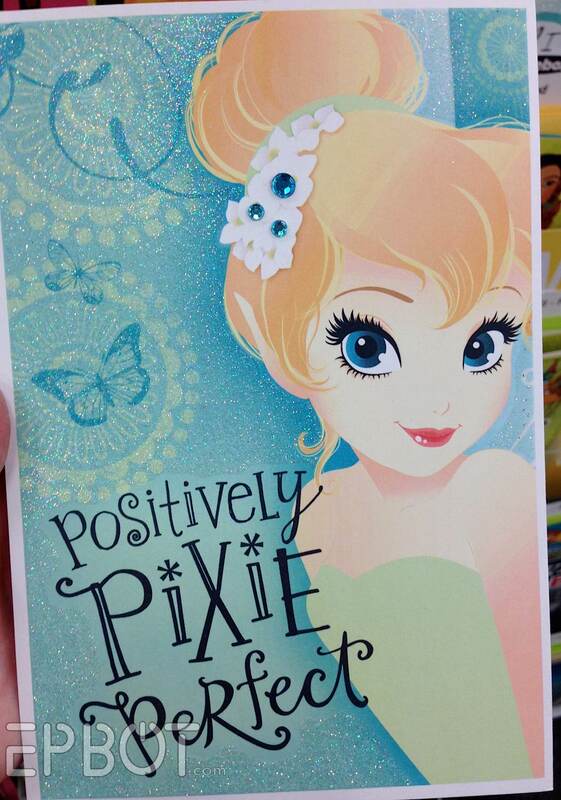 Now I wish I lived more than a few hours away from a CVS--what fun cards! I already finished all 10 seasons of Friends. S'what happens when you're a stay/work at home mom with morning sickness and a significant other who works nights. First all these cool cards made my day. Then your comment made it even more. Yay! Man, I really wish Disneyland's Peter Pan queue was that awesome. I wouldn't mind waiting in line for it if I got to play with shadow butterflies while I waited! Oh the Spider Girl! So cute. I may have to go looking for that one! Lovely cards. 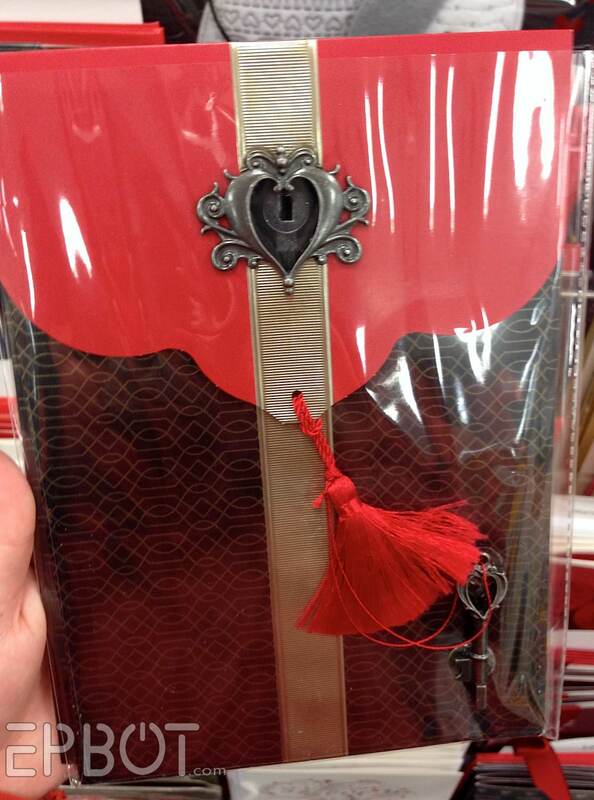 I have a question though - are the first two meant to be for a guy to give to a girl, or vice versa? (or a girl to give a girl of course). Could those Valentines....BE any cuter? Yay, Friends. You know what would be great? If I had a friend to marathon Friends with. *sad eyes* Can't understand why it's so hard for me (an introvert with social anxiety who almost never leaves the house) to make friends, heh. Hope your ear feels better soon, Jen, and hope you won't have to get your filling redone. UGH! I'm cringing just thinking about it! Has the surgeon removed the packing from John's ear yet? And? A whole new world? A dazzling place he never knew? Indescribable feelings? I sure hope so! Give us an update when you have time. That video from the Peter Pan queue is so awesome, and I'm not even a Peter Pan fan. The fairy dust trail was really cool, but what killed me dead was the shadow pirate hat AND hook! That was freaking amazing! Kids today are so lucky. Magic is real now! The funniest thing about it, though, is how unimpressed they are with it all. If you'd put an iPhone in my hand when I was 10, I would've flipped. the. eff. out! And these little ungrateful digital natives (my son included) are all just like..."Meh." Actually, I'm happy that it's all still magic for me. Almost every time my husband and I sit down in front of our razor-thin flat-screen TV, one of us will inevitably say, "Can you imagine having a TV like this when you were a kid?" When we're out shopping or dining and we hear a song that we don't know, we can look it up on the computers that we carry around in our freaking pockets! We have the entire INTERNET in our hand! Holy crap! People forget every single day how incredible that is! The queue clip made my day, its so cool! We're taking our kids to Disney in December and I'm already counting the days, you just amped my excitement by 10 :D thanks for sharing! I'm always on the search for cute valentines, and the Spider Girl one is adorable! Unrelated, but I wanted to say that I FINALLY beat Bioshock Infinite yesterday!! I'd seen so many of your posts on what a beautiful and cool game it was, and even though I mostly play strategy/puzzle games (or mostly just Portal 2 over and over again), I bought B:I during a Steam sale and after a few weeks, successfully stumbled my way through my first FPS game! Hi Jen! Recently I found a movie called Jack's Cuckoo Clock Heart on Netflix. I watched it and it FLOORED me with its steampunky goodness. The voices, the characters, the OUTFITS. Check it out sometime! You will not regret it. I'll be the first jerk to say it: oh boy are those first-timers going to be disappointed when they make it through that interactive queue and end up on the actual circa-1971 ride. I'm a huge WDW fan but ... yeah. My 3 year old daughter is loving Spiderman and Batman right now. 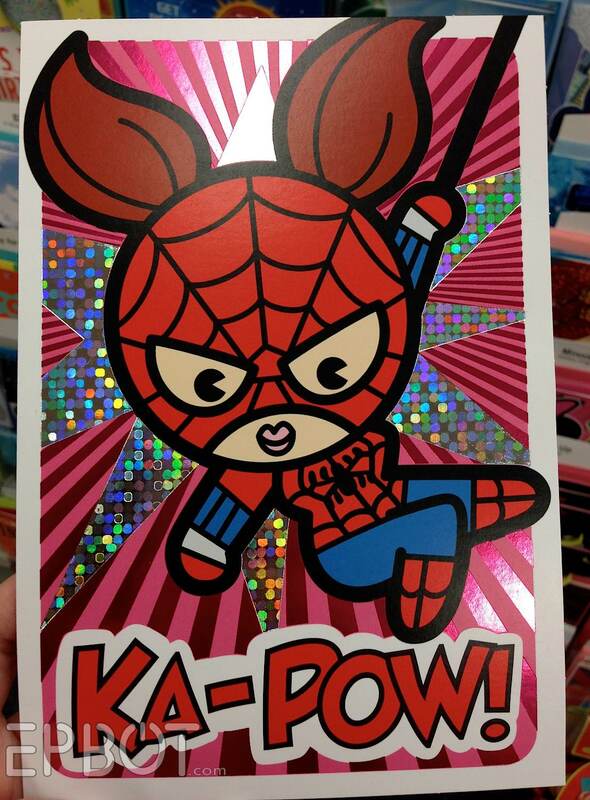 I looked in CVS and they don't have the Spider Girl Valentines- any idea who made them? OMG...do you know the manufacturer of the layered compass card??? My CVS up in Michigan doesn't carry it and I. MUST. HAVE. IT!!!! Oh, those cards are fab. I really love the one with the lock and key. How awesome! I hope you are both feeling better!! Sigh, so want to go to Disney World!